The best way to combat a pest infestation is to never have an infestation to begin with. Insecticides and rodenticides will reduce the pest population around your home and prevent pests from trying to enter your home. 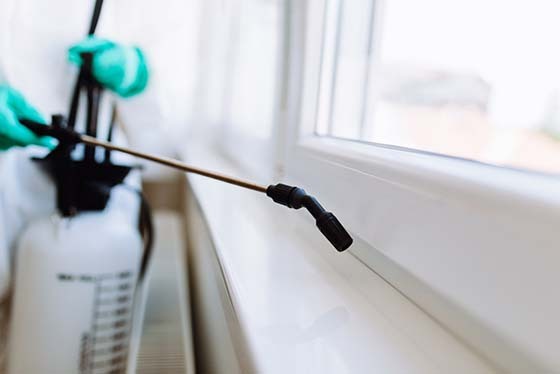 While these products are helpful for reducing a pest problem before it starts, they will not be effective without following the home and yard sanitation steps mentioned in our guide on how to prepare your home for a pest prevention treatment. Read below to learn how and how often to treat your home for insects and rodents. We recommend applying a liquid insecticide around the perimeter of your home or structure at least once every 90 days. 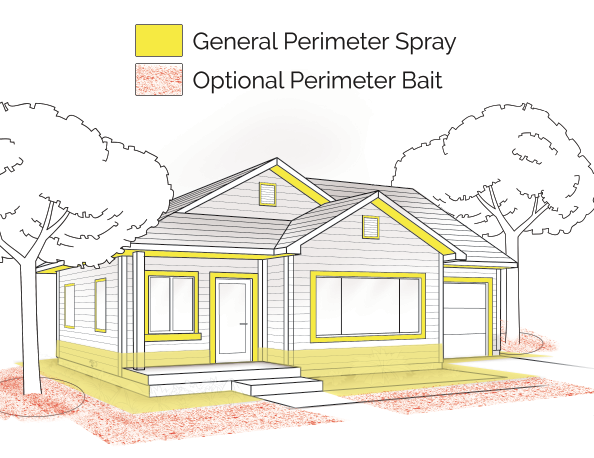 If you know you have high pest populations on your property, or you live in an area with seasons of intense heat, we recommend spraying once per month. For both indoor and outdoor treatments, mix a liquid insecticide in a hand-pump sprayer, like the Chapin 1-Gallon pump sprayer. Consult the label of the insecticide for the recommended product-to-water ratio. Wear long-sleeves, protective goggles, and gloves when mixing and spraying insecticide. We also suggest placing glue board traps in your cabinets, under appliances, and in areas where items are stored such as closets, garages, and attics, to monitor for any potential pests that may have found a way inside. We recommend using both a liquid insecticide and an insecticide dust to provide the maximum protection possible against pests. During times of intense heat and/or frequent rain, liquid insecticide spray residuals can be diminished. When this happens, you can supplement your treatment program with InTice 10 perimeter bait to help keep pests out. InTice 10 is a superior bait that contains boric acid and will not lose efficacy due to UV rays, heat, or moisture. You can apply a band 2-3 feet around the exterior of your home (avoiding areas you have sprayed with insecticide). 1 pound will treat approximately 1,000 square feet and will last about 90 days. If you have ever dealt with a rodent infestation, you know that it is extremely difficult to eliminate rats or mice after they have entered your home or structure. This is why we highly recommend placing rodent bait stations loaded with rodenticide around the exterior of your home or business, in addition to following our sanitation and exclusion tips. We have assembled rodent kits that include the products needed to protect your structure from rodents, including tamper resistant bait stations that will protect the bait from the elements and non-target animals. We recommend placing loaded bait stations near every corner of your structure and by the front door, back door, and garage. Check the bait stations every two weeks and replace the bait as needed. You will likely see more activity in your stations in the spring and fall as rodents become more active. If you cannot decide what size of rodent bait station to purchase, we recommend the rat-sized stations as both rats and mice can enter the larger station. Mouse-sized stations will only allow mice to get to the bait. You can attach your bait stations to patio blocks to help anchor them so that larger animals cannot carry them away. This will also raise the stations off the ground, which will stop water from getting inside and spoiling the bait. To raise your bait station, apply a caulk adhesive to a patio block. Place one bait station on the patio block and allow the adhesive to dry for 24-hours before moving the block-station. Repeat for as many stations as needed. Again, the best way to avoid an infestation is to prevent an infestation before it starts. 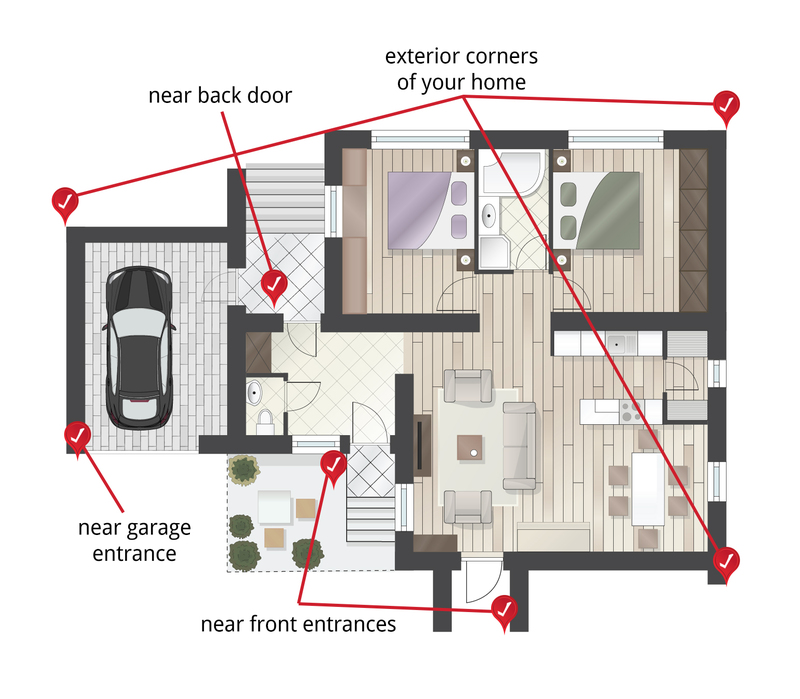 Read our guide on how to use integrated pest management to learn the small actions you can take to avoid a costly infestation. Click the right arrow below to read more. 176 of 184 people found this article informative and helpful.